You are here: Home / *Easy Free Samples by Mail / 2 FREE Movie Tickets! One Day Only! 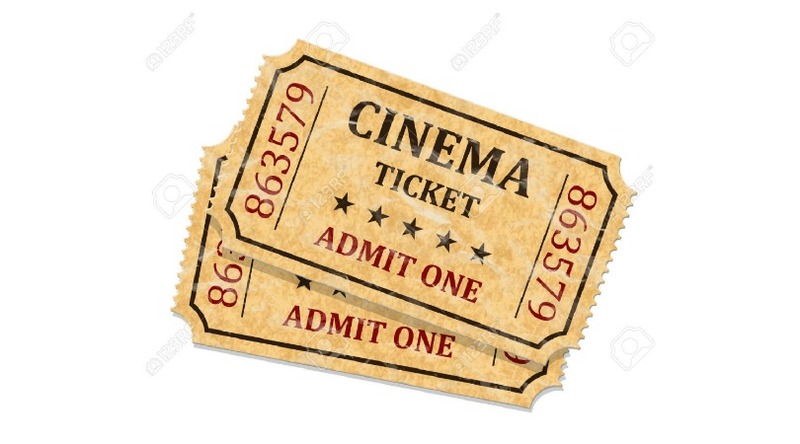 Atom Tickets is giving away free movie tickets every Friday. This is an enter to win but, there are numerous codes to enter and you can play until you win. So, everyone should be a winner today! You have to download the Atom app first or it won’t be applied to your account! UPDATE: I had to enter 21 codes before I won. So, don’t get discouraged and keep trying! Another Update: You can only win once every 120 days. So, if you have already won, you won’t get a response to your text. My husband won today after only entering one code! Download the Atom App first. Then text one of the following codes to 28661 on your phone. ACT, ACTION, ACTIVE, ACTRESS, ACTOR, ADVENTURE, ANIMATE, APPLE, ARROW, AWARD, AXE, BABY, BASKETBALL, BLACK, BLUE, BOAT, BOTTLE, BRIGHT, BROTHER, BUS, CAMERA, CANDLE, CAT, CENTER, CHASE, CINEMA, CLUB, COLD, COMPLETE, COMPLEX, COUNTRY, COURAGE, CREATE, CRIME, CRUISE, CURTAINS, CUT, DANCE, DATE, DAY, DIRECTOR, DIZZY, DOOR, DRAMA, DRAW, DRESS, DRINKS, EDIT, EDUCATIONAL, EMOTION, ENEMY, ENTER, EPIC, FAIL, FAILURE, FANTASY, FAST, FEATURE, FILM, FLAG, FLASH, FOOD, FREEZE, FRIDAY, FUNNY, GLAD, GOLD, GONE, GREAT, HARD, HERO, HILL, HOLLYWOOD, HOME, HOT, JET, KARAOKE, KICK, LEAD, LEADER, LEAN, LIFT, LEFT, LINE, LOCATION, LONG, LOW, MODERN, MONSTER, MOVIE, NEED, NICE, NOW, PEN, PERFECT, PHONE, PICTURE, PINK, PLAN, PLANE, PLANT, PLATINUM, POPCORN, PRINCESS, PURPLE, QUIET, RABBIT, REAL, RECORD, RED, REPORTER, RESERVE, RIGHT, ROCK, ROLL, ROOM, ROW, RUN, SAD, SAVE, SCREEN, SCREENING, SERIOUS, SHARP, SHINE, SHOCK, SHOE, SHOP, SHOOT, SHORT, SING, SISTER, SLOW, SMILE, SOUR, SOFT, SPOOKY, SPORTS, STACK, STORE, STORY, STUNNING, STYLE, SUCCESS, SUNSET SUPER, SUSPENSE, SWEATER SWEET, SWORD, TABLET, TALK, TALL, TAMPA, THRILL, THRILLER, TICKET, TOGETHER, TOUR, TRAIN, TREASURE, TRUCK, TRUTH, UNDER, VEGAS, VINTAGE, WACO, WALK, WASH, WATCH, WATER, WEIGHT, WHITE, WILD, WIND, WINTER, YELLOW, ZIP.